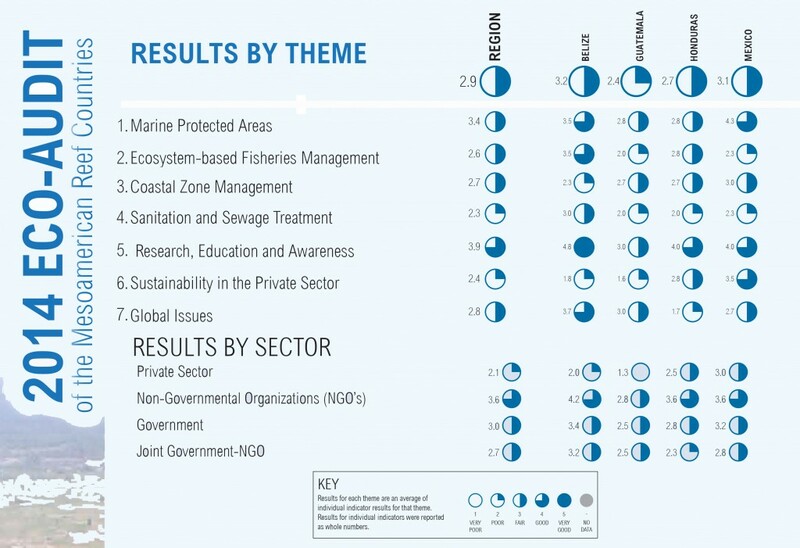 The 2014 Reef Eco-Audit of the Mesoamerican Reef countries is out and was made public simultaneously in all countries who share the same reef system. In Belize, Healthy Reefs Initiative (HRI) hosted the event at the Radisson Fort George Hotel on Wednesday February 12th and in attendance was a consortium of policy makers, environmentalists, conservation stakeholders and even a rigorous media. The report celebrated the successes in the collective efforts to protect and sustainably manage the region’s amazing coral reef but also highlighted the unfortunate slow pace at which achievements are met. The audit is the second of its kind conducted by HRI in collaboration with Costa Rica-based PricewaterhouseCooper (PwC), who worked with several local partners in various countries. The Eco-Audit was divided into seven different themes, broken down into 28 various indicators used as measuring tools that point out justification, ranking criteria, data collection methods, detailed worksheets and the use of over 300 supportive, publicly available verification documents. The Eco-Audit draws on the foundation and experience gained from the 2011 audit and includes a comparison of changes within the 22 indicators evaluated during both assessments. Six new indicators were selected and developed, bringing the indicators to 28. The four countries forming part of the regional landmark reef are Mexico, Belize, Guatemala and Honduras. According to the Director of HRI Doctor Melanie McField, one of the success stories is in the section having to do with marine protected areas (MPA). 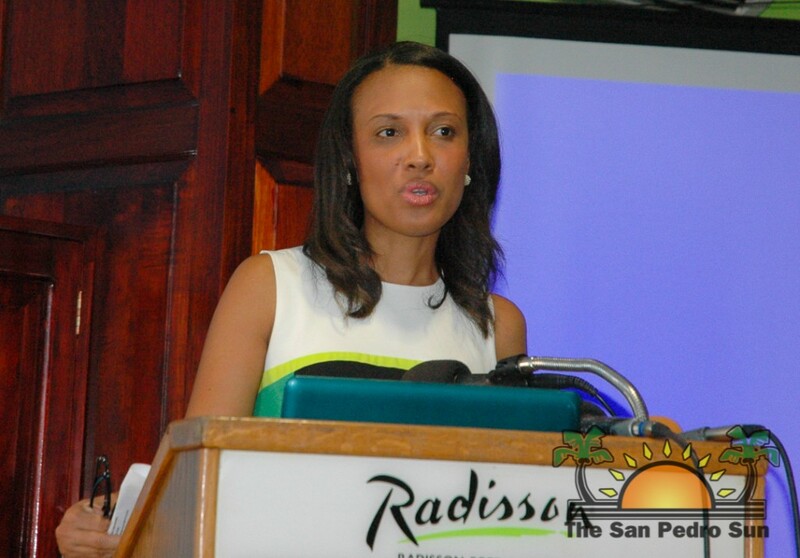 She indicated that all four countries now surpass the 20% target of their territorial sea under MPA as set by other countries within the Caribbean. The regional average puts full territorial seas as 35% under MPAs, ranging from 60% in Guatemala to 20% in Belize. “However, the amount under full protection from fishing remains surprisingly low, on a 3% average, presenting a clear opportunity for meaningful action to increase this amount,” explained McField. The region score was “Fair,” 2.9 out of a possible 5 point score. The Mesoamerican Reef extends over 300 miles from the northern tip of the Yucantan Peninsula in Mexico to the Bay Islands on the northern coast of Honduras. Belize has the largest portion of the regional reef system totaling 250.58 square miles and is one of country’s main revenue sources. But is Belize doing its fair share to protect the reef? 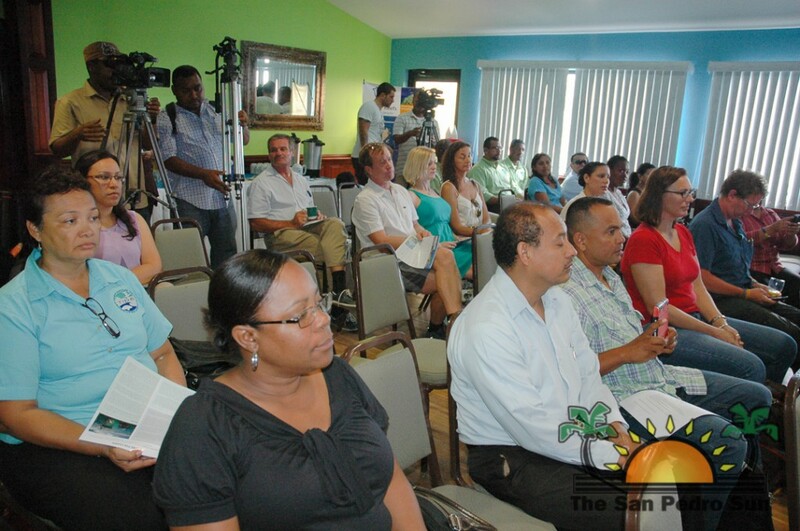 According to the audit, Belize remained with the same score of 3.3 points obtained in the 2011 audit. “The major accomplishments were within MPA, with the landmark declaration of the largest MPA in Belize, the Turneffe Atoll Marine Reserve in late 2012,” indicates the audit report. 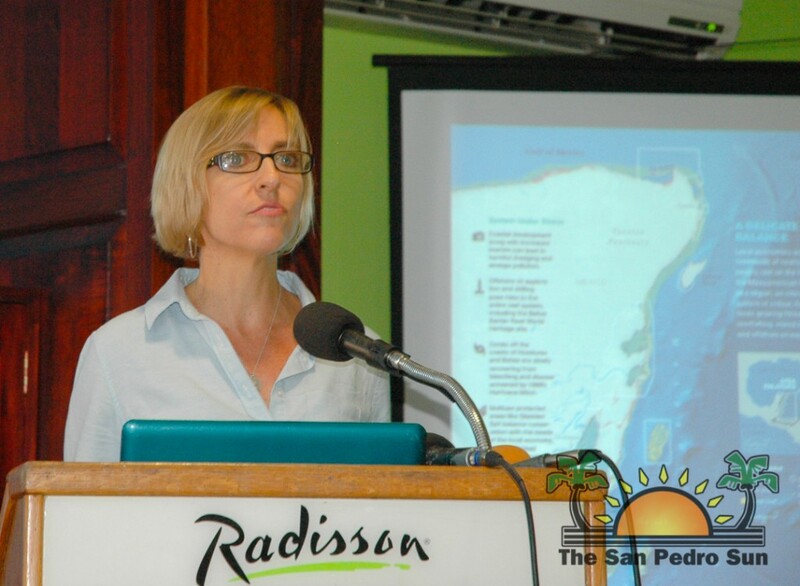 “This new reserve increased the percent of Belize’s territorial seas within MPA from 14% to 20%. 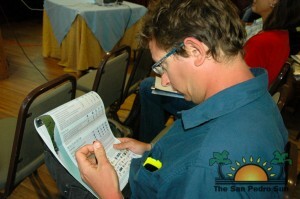 Turneffe’s designation also helped increase the area under full protection from 2% to 3% of the territorial sea, also improving the score… Belize maintains the highest scores in Ecosystem-based Fisheries Management, Research, Education and Awareness, Sewage and Sanitation and Global issues,” added the audit. Belize scored 3.2 points which is “fair” and equivalent to a “C” grade. 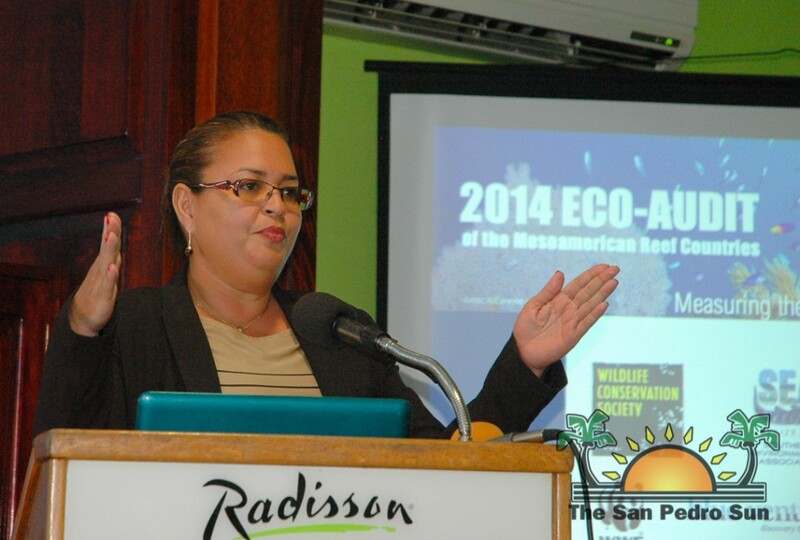 And while there were steps made in the right direction, the audit says that Belize declined by one score in regards to the implementation of eco-standards for marine recreational providers. “Other notable indicators whose scores didn’t improve as expected included the Coastal Zone Management Plan. The draft plan was developed with public and technical input, but was not formally submitted for approval before the Eco- Audit deadline,” the audit points out. “While we celebrate the full achievements of the 20% in MPA indicators, we also recognize that if we continue at the current slow pace of management implementation, it will take over 50 years to fully implement the 27 management actions. Over the next 50 years, our reefs will face greater stress from increasing population, growing seafood demand and climate change. 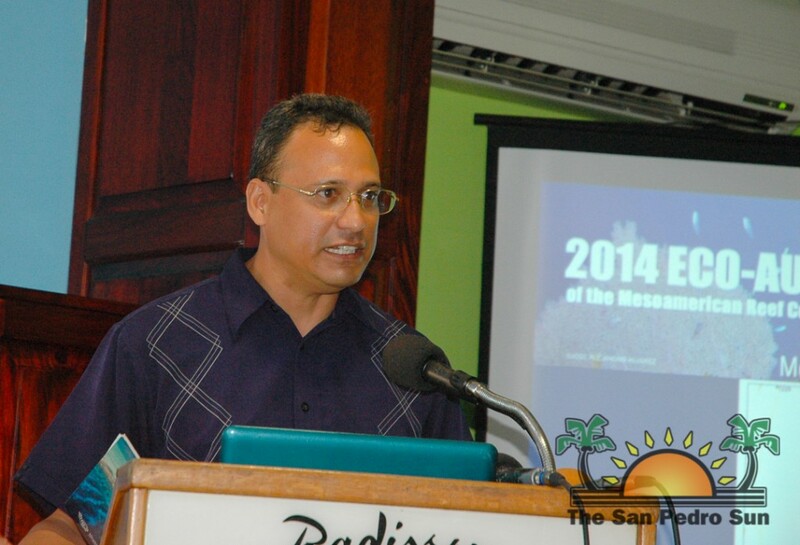 We can, and we must, pick up the pace of the reef management in order to safeguard this Meso-amazing reef,” said McField. 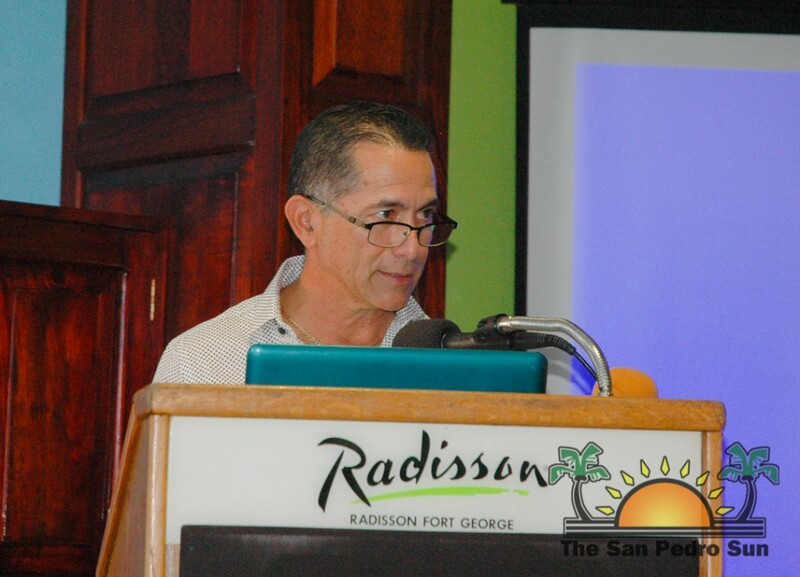 For his part, Roberto Pott, Belize Country Coordinator for Healthy Reefs Initiative indicated that Belize’s economy is heavily driven and dependent on the health of the reef system. 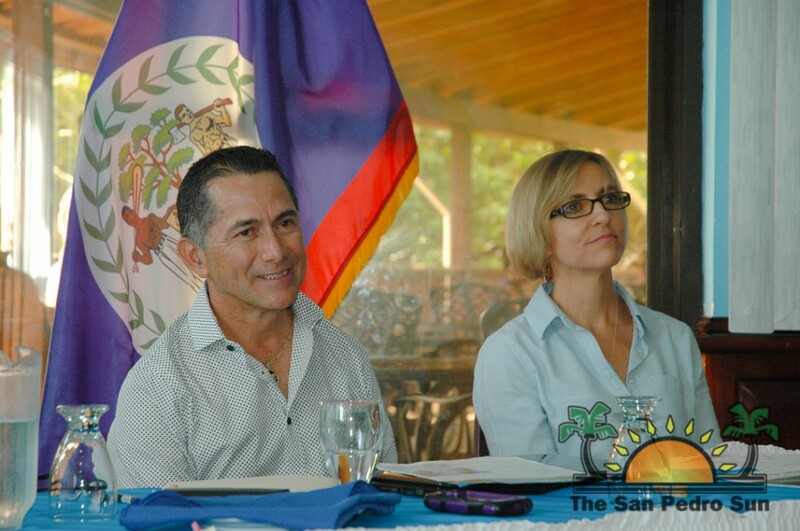 “The good part is Belize is still on top, we are still topping the region in terms of our score but we are barely there… The proposal to have the Turneffe atoll as a MPA was around for about 20 years and we finally got GOB to declare it as a MPA in 2012 and so it was a big accomplishment. However, less than 3% of our national waters is considered fully protected – no take zones – and we actually want to increase that to 10%. That is going to be the target we will be aiming and pushing for before the next Eco-Audit… Our race to save the reef is a race to save our people,” pointed Pott. Belize territorial waters consist of 7,246.37 square miles of which 3% or 30 square miles are no-take zones and are fully protected from all forms of fishing. The audit indicates that even as some results shows encouraging progress on some issues, the future of the coral reefs remains at a delicate precipice. The report points out that the collective pace of the reef management must be accelerated in order to make significant progress. To read the complete report, you can go online to www.healthyreefs.org.